It’s time for the Dallas-Fort Worth area’s most delicious of events—and of course I’m referring to the legendary DFW Restaurant Week, which is actually a multi-week celebration of the greatness that is the North Texas dining scene, with a portion of the proceeds benefiting the North Texas Food Bank and the Lena Pope Home. Here’s how it works: participating restaurants offer a special lunch or dinner menu (or both) that allows diners the chance to enjoy top-flight cuisine at discounted prices—to get a better idea, you can view Restaurant Week menus for participating Arlington restaurants here. Some restaurants will also offer opportunities for add-ons and upgrades, such as a specialty cocktail or a wine flight. Before we take a look at what Arlington is bringing to the table for this year’s Restaurant Week, a word of advice: reservations are highly recommended—and in some cases, they fill up fast, so make yours now. The Restaurant Week menu for The Keg looks satisfying indeed, especially since it features two of my go-to items: the baked garlic shrimp appetizer and the Sirloin Oscar (an eight-ounce steak topped with shrimp, scallops, asparagus and Béarnaise sauce). For dessert, try The Keg’s famous Billy Miner Pie, which features mocha ice cream, chocolate crust, hot fudge, caramel, and almonds. Dinner: $39 (August 13-September 3). 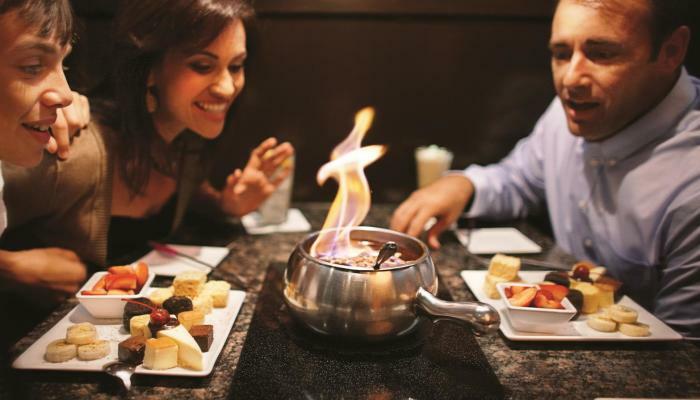 The Melting Pot is also offering Restaurant Week preview events on August 2 and August 30. Dinner is even more fun when it includes dipping sauces, which is just one of the reasons why The Melting Pot is always at the top of my short list when I’m in the mood for something special. If you’re new to the fondue experience, the opening item for Restaurant Week—the Alpine Au Vin—promises not to disappoint: It’s a mouth-watering blend of Gruyère, Raclette, and Fontina cheese, melted with wine, garlic and mushrooms and served with rustic breads, fresh vegetables, and crisp green apples for dipping. I was happy to see the newest member of the Arlington fine dining scene on this year’s Restaurant Week lineup, as this elegant steakhouse quickly jumped to the top of my favorites list after only one visit. Mercury is offering both a lunch and dinner option for Restaurant Week, so I say take advantage and visit twice—and while you’re at it, consider upgrading with the featured Restaurant Week cocktail, which is a cigar-smoked Texas whiskey highball, or the featured wine, a Chandon California sparkling rosé. The Restaurant Week menu at this charming downtown dining destination promises not to disappoint, featuring options like the 506 Crab Cake (jumbo lump pecan crusted crab cake, spicy remoulade and a citrus jicama slaw ) and the pan-roasted chicken (served with wilted spinach, cauliﬂower puree, and natural pan jus). Make a day of it by arriving early to enjoy an hour or two of pre-dinner luxury spa treatments, or make a weekend of it with an relaxing overnight stay at The Sanford House.